Entrenched in a distiller's lexicon is the word cut. A cut is when a distiller separates a portion of a distillation run into three parts. These cuts are know as the "Heads" "Hearts" and "Tails." 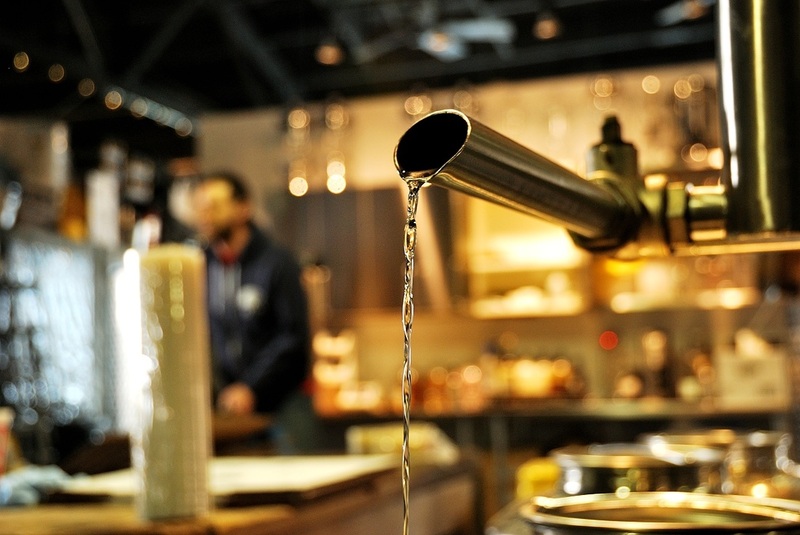 The “Heads” are the first distillate to come off the still during a run. Due to the lower boiling point of methanol (CH₃OH), in relation to ethanol (C2H6O), methanol comes off the still first; this is the portion of the run is known as the “heads.” These boiling points are relative to time and temperature during a run. “Heads,” are of tertiary importance and have no value to the process. The “hearts” are of primary importance; “hearts” are the finished product, and contain high concentrations of ethanol (drinking alcohol), as well as congeners and esters (flavor & aroma profiles) that contribute to the character of a spirit. The "hearts" are collected separately to be bottled or matured in wood as a final product. The “tails” are of secondary importance. "Tails" come off the still last, with a sweet taste and pleasant smell. "Tails" are lower in ethanol and higher in congeners and esters, they also contain amyl alcohols (C₅H₁₁OH) that contribute to mouth-feel and finish of a spirit. They are saved and re-distilled to generate more flavorful “hearts” in the next batch. Head distillers work for years perfecting the art of making cuts. Privy to exclusive vintages, seasonal runs, and limited release spirits. Cuts Club membership will be included with Barreled by Name memberships. *Memberships also available in the spirit house.